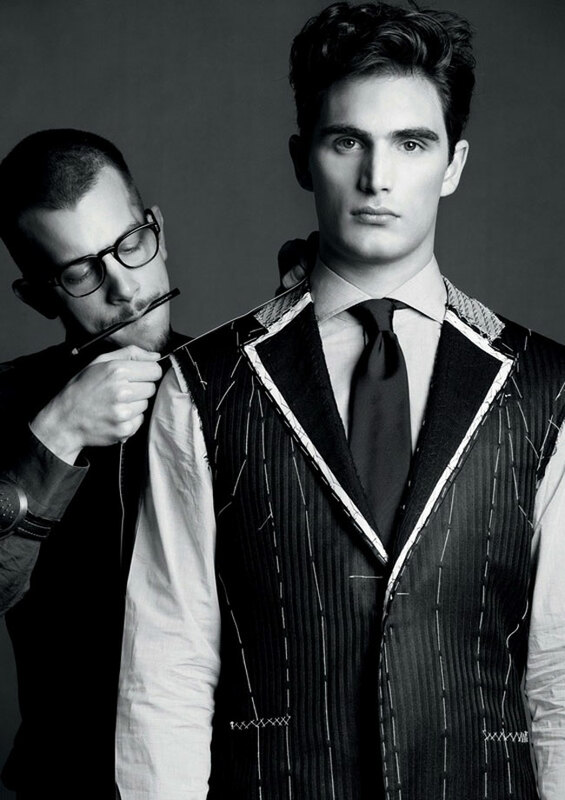 Bespoke is the pinnacle of suiting in regards to quality, construction, individualism, and style. The options available in bespoke suiting are endless. Aside from a superior fit, the experience of having a suit created specifically for you and made to your expectations that shows your personality and will be part of your wardrobe for years to come. At the initial appointment, the customer will meet with a tailor to discuss where the suit fits into a client’s lifestyle and what stylistic details are important to them. Next, fabric selections are made chosen from their stock. Finally, a customer’s exact measurements are taken and all details are recorded. After this point, all of the suit’s construction is done by hand. Their on site Master Tailor draws and cuts the pattern from scratch, in accordance to the taken measurements. Then using the selected fabrics (which include full horse hair canvas interfacing) the suit is constructed by hand in the atelier over the course of 6-8 weeks. During this time, a customer will return for as many as three fittings to ensure its superior fit. Artful Tailoring use an old-world tailoring techniques such as hand stitching canvas to their suit, and hand rolling the lapel on the jackets to ensure clean lines and long lasting suits. We only choose the highest quality of interfacing for every garment o they are guaranteed to out live your average off of the rack factory made suit.